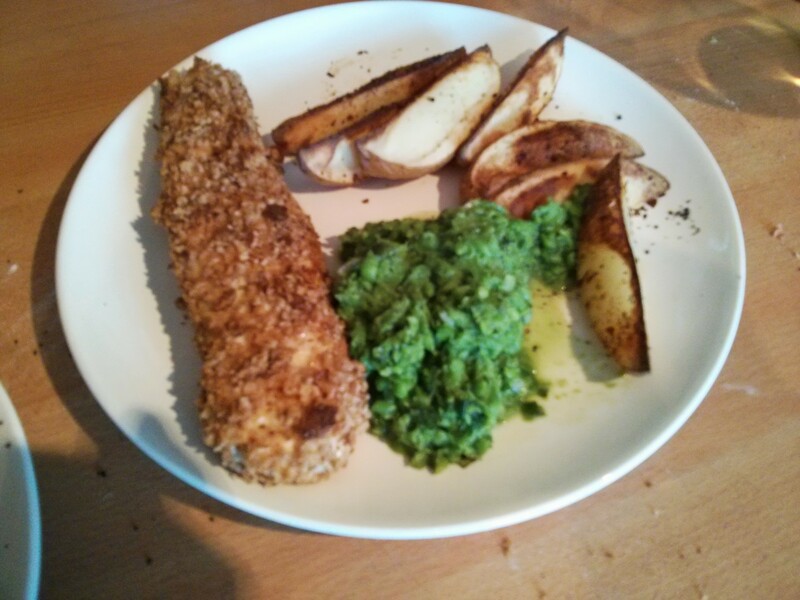 We were very well behaved yesterday: instead of getting a takeaway on the way home from the Meantime Brew Fest in Greenwich, we cooked our own fish and chips. Once again the recipe comes from America’s Test Kitchen’s Comfort Food Makeovers. The main trick is to bake the fish, rather than deep fry it. Same goes for the chips, we baked wedges rather than deep fried chips. 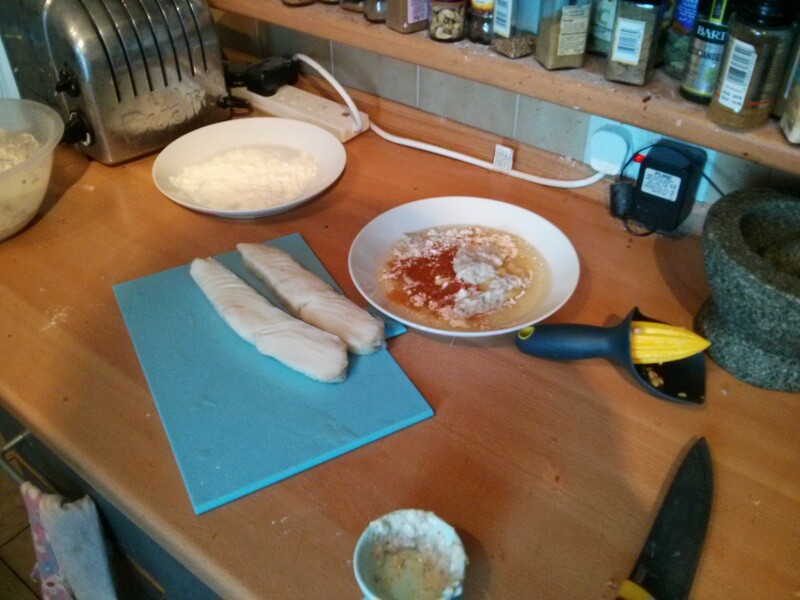 As we’re baking things, the fish is getting covered in bread crumbs. 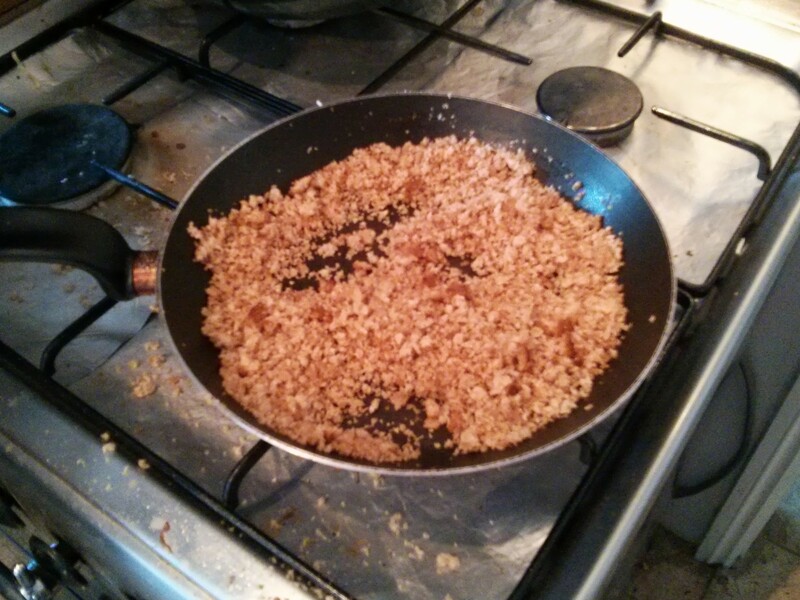 I was expecting the recipe to call for panko breadcrumbs, but apparently freshly made ones are the best. So we pulsed some slices of wholemeal bread in the food processor then fried them up with some rapeseed oil. 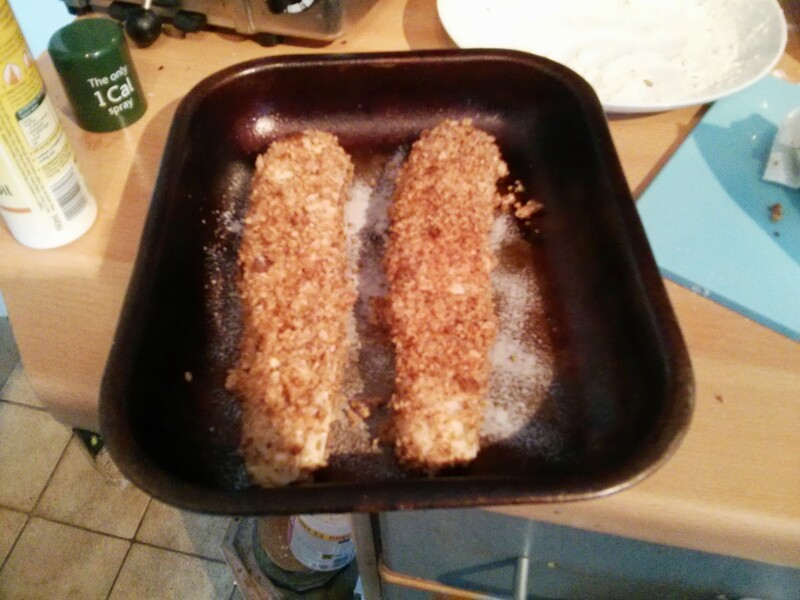 To stick the breadcrumbs to the fish the recipe says to use tatar sauce, which is a clever trick. 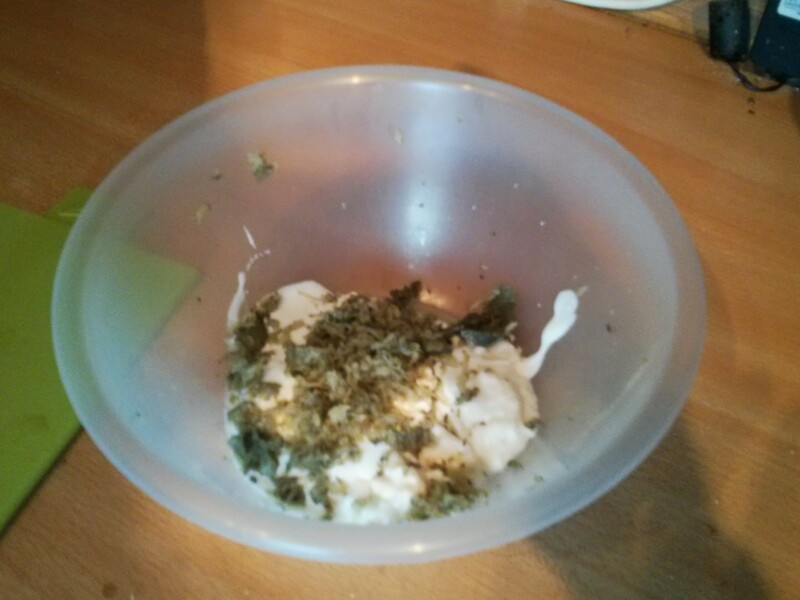 It also has a handy healthy version which we made: half fat sour cream, low fat mayo, plus grated gherkins, chopped capers, chopped shallots, lemon juice and Worcestershire sauce. 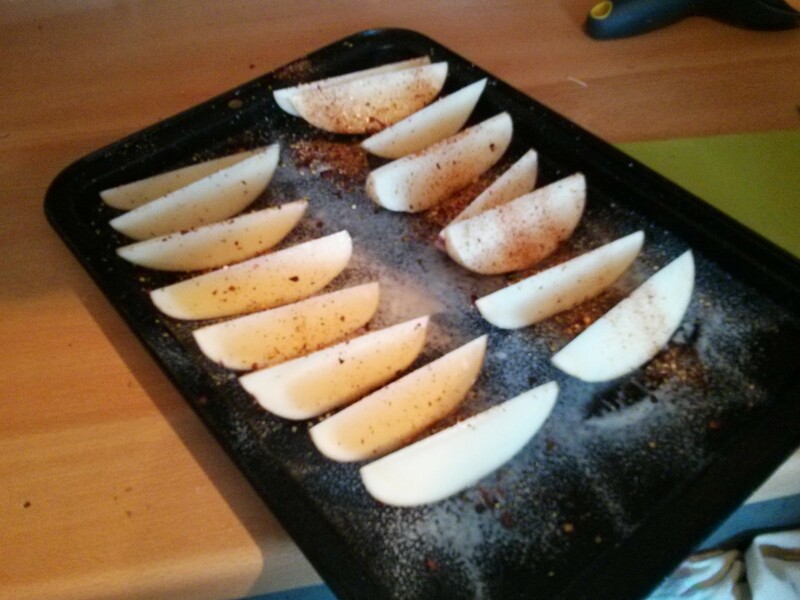 The fish doesn’t take nearly as long as potatoes, so the wedges go in first. These are Soph’s standard wegdes: skin on for healthfulness, quick spray of oil for plus some piri piri flavouring. The fish we’re using is halibut. The recipe points out that cod is a bit too flakey, and tens to flake apart while baking, so halibut is a better choice. 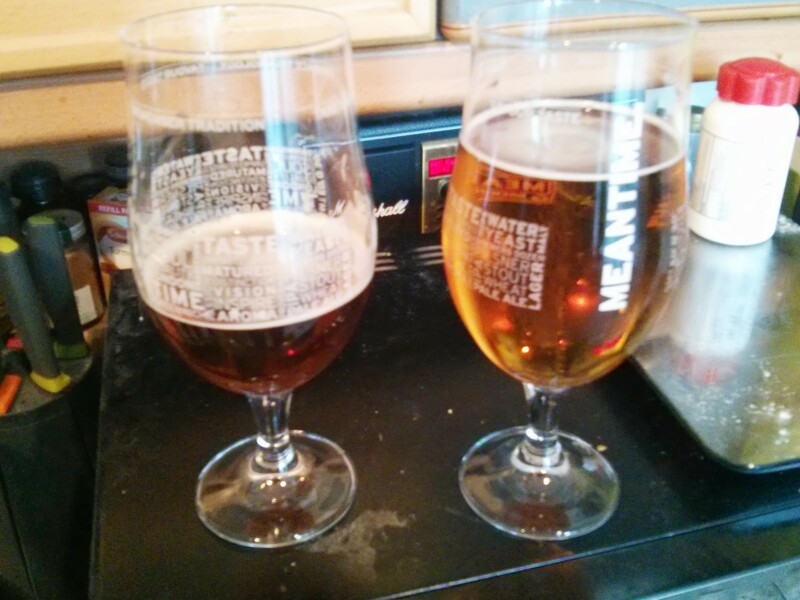 Tesco didn’t have any for our weekly delivery, but one Borough Market stall had some. The halibut is dipped in flour, then in a mix of the tartar sauce plus egg whites, flour and cayenne pepper, and finally the breadcrumbs. The underside of the fish, the skin side, does’t get covered. Once covered the fish go into a sprayed tray and then into the oven. 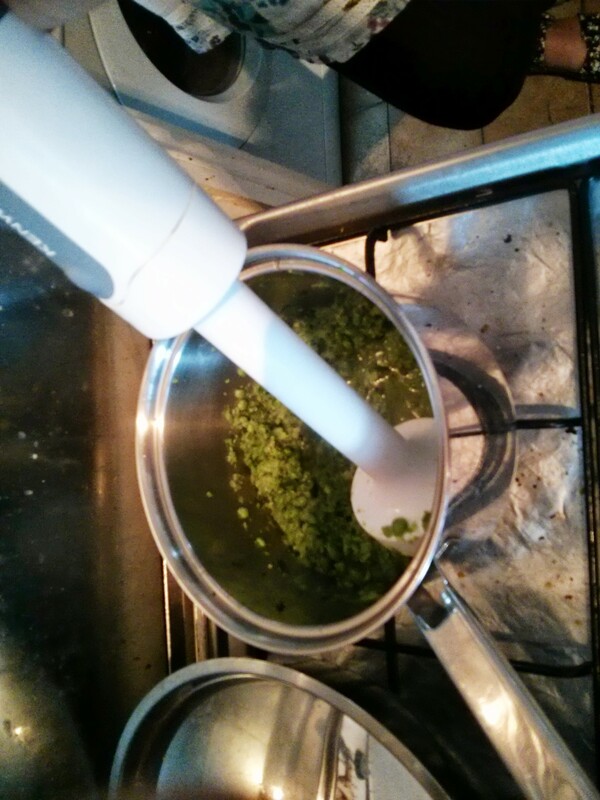 While the fish is cooking we made some minted mushy peas, using the mint from our garden! We used a Jamie Oliver recipe for this. Then it all gets served up! And mmm mmm MMM! It was delicious! The fish was lovely and crispy, with great flavour from the tatar sauce and cayenne pepper, and of course it went well with the chips and mushy peas.